Chase Freedom is an excellent cash back credit card for cardholders who pay in full. How does it compare to Blue Cash Everyday from American Express, a cash back, gas and grocery credit card? Read our comparison chart below. Earn a $150 bonus after spending $500 on purchases in your first 3 months from account opening. Earn a $150 statement credit after you spend $1,000 in purchases on your new Card within the first 3 months. Unlimited 1% cash back on all other purchases. 3% Cash Back at U.S. supermarkets (on up to $6,000 per year in purchases, then 1%). 2% Cash Back at U.S. gas stations and at select U.S. department stores, 1% back on other purchases. Earn 5% cash back on up to $1,500 in combined purchases in bonus categories each quarter you activate. Enjoy new 5% categories each quarter. Unlimited 1% cash back on all other purchases. 2% Cash Back at U.S. gas stations. 3% Cash Back at U.S. supermarkets (on up to $6,000 per year in purchases, then 1%). Disclaimer: The information for the Chase Freedom has been collected independently by CreditDonkey. The card details on this page have not been reviewed or provided by the card issuer. Chase Freedom: Pricing information including interest rates, benefits and fees was obtained on January 22, 2019 from published websites and is believed to be accurate, but not guaranteed. Which is Better: Chase Freedom or Blue Cash Everyday? 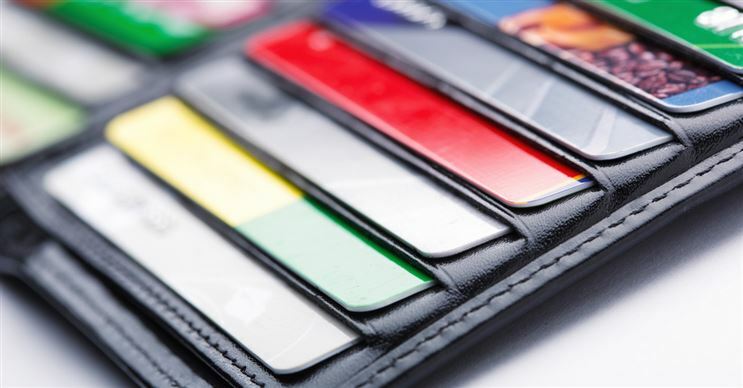 Still need help deciding which cash back credit card is better? Read the in-depth reviews below. You may also be interested in comparing Chase Freedom or Chase Freedom Unlimited. Chase Freedom is one of the best credit cards for cash back, if used the right way. If not, there are drawbacks. Read on for the pros and cons to determine if this card is right for you. Chase Freedom usually requires a good credit score (680+). But this is not the only deciding factor. Find out how to improve your odds. With 5% cash back on bonus categories, the Chase Freedom is a high-earning cash back card. Get details on the rewards calendar and how it works. If you want a cash back credit card with the same rewards categories year-round, then consider the Blue Cash Everyday® Card from American Express. Read on for the pros and cons. Cash Magnet Review: Is 1.5% Attractive Enough? American Express Cash Magnet® Card gives you unlimited 1.5% cash back on your purchases. Is it a good card? Read on to see how it stacks up. Chase Freedom Unlimited Review: Is It Good? With a double cash back offer and no annual fee, does Chase Freedom Unlimited live up to the hype? Read this in-depth review to see how it stacks up. The right grocery credit card gives you a high percentage back for shopping at the supermarket as well as a good amount back on your other everyday purchases, like charges made at the gas pump. Amex EveryDay Card Review: Is it Good? If you tend to charge at least 20 purchases a month on your credit card, you may want to consider switching to the Amex EveryDay® Credit Card from American Express. Read on for the reasons why the rewards credit card may be a good addition to your wallet. For your next credit card, you want a lucrative deal. What you don't want is to pay for the privilege with an annoying and pricey annual fee. We canvassed current offerings by credit card companies on CreditDonkey for the cash back, reward points, balance transfers, low interest, and small business offers you should consider. Disclaimer: The information for the The Amex EveryDay® Credit Card from American Express has been collected independently by CreditDonkey. The card details on this page have not been reviewed or provided by the card issuer. Disclaimer: The information for the Capital One® Quicksilver® Cash Rewards Credit Card has been collected independently by CreditDonkey. The card details on this page have not been reviewed or provided by the card issuer.